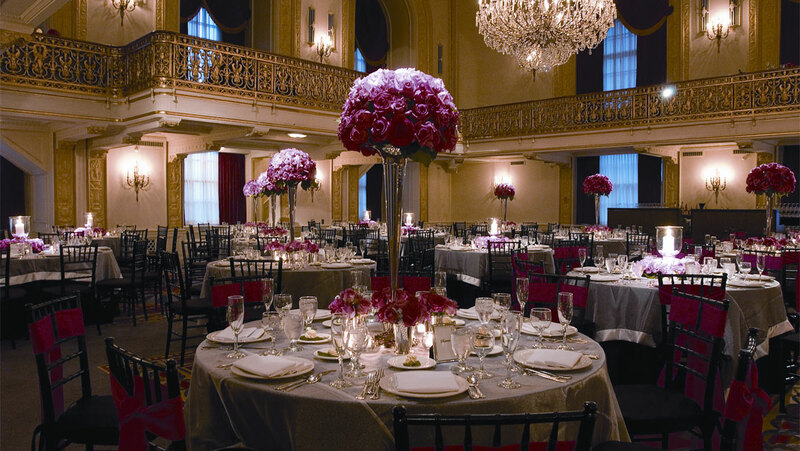 Omni William Penn Hotel is the ideal place to host a Pittsburgh wedding. 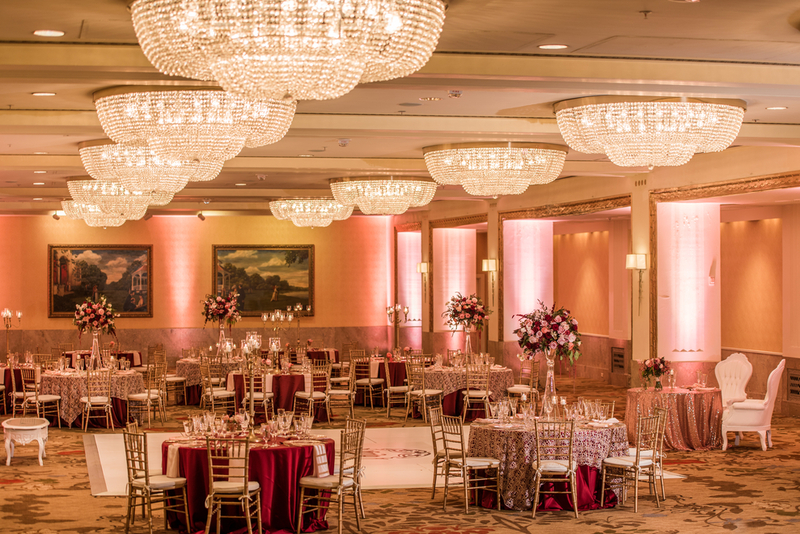 Elegant and grand, our ballrooms can accommodate your guests in a variety of styles to suit your special event. All of our venues come with the unmatched service our hotel is known for. 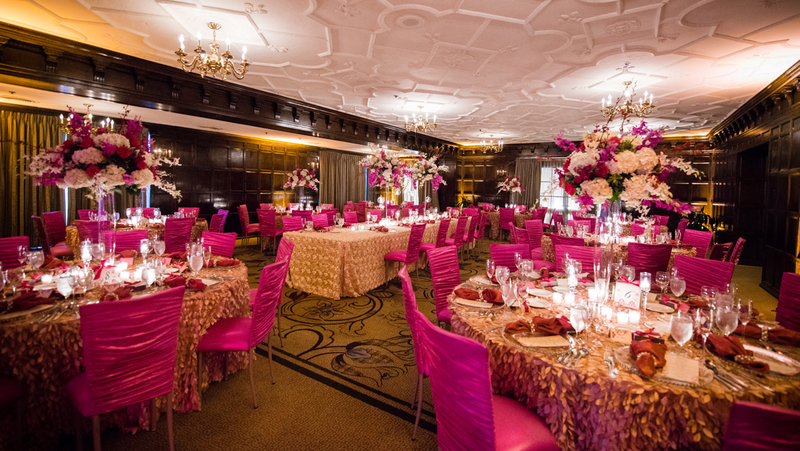 Each event space includes a separate cocktail hour room and a private hospitality room for the bridal party. 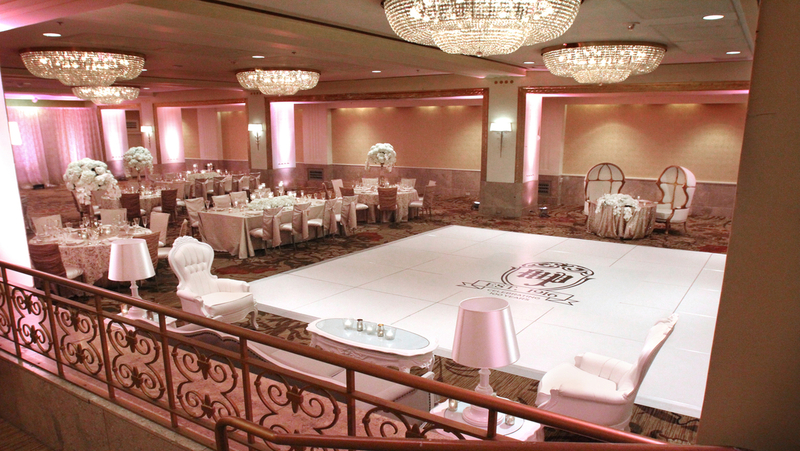 Western Pennsylvania’s only two-tiered ballroom. Gilded gold-leaf balcony and accents. Three baccarat crystal chandeliers. 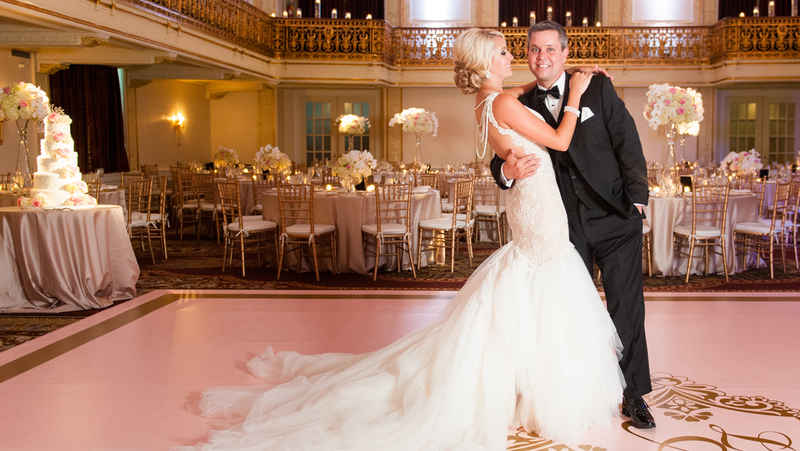 Brides and grooms make their grand entrance from the balcony to greet their guests…like royalty. 500 guests for ceremony and reception. Dramatically designed by the famed Joseph Urban circa 1929, this art deco space is surrounded by black Carrera glass and marble. 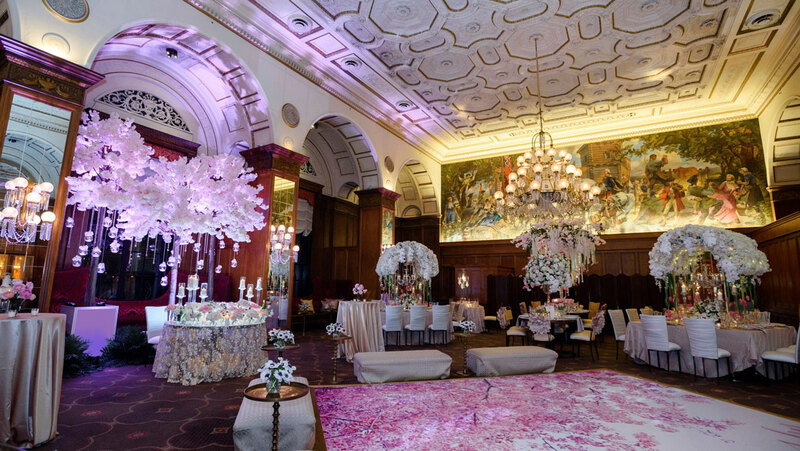 Beautifully appointed murals grace the walls, culminating in a circular mural 25 feet above guests. It’s a step back in time, with modern touches. 225 guests for ceremony and reception. This space is brilliantly illuminated with 10 sparkling chandeliers. 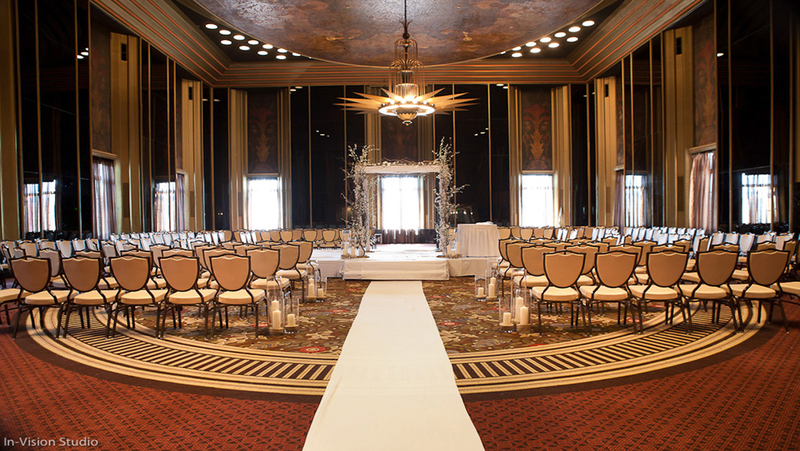 Brides and grooms make their entrance above the ballroom and gracefully ascend from stairs on both sides. 350 guests for ceremony and reception. This intimate space is accented by a carved plaster caste ceiling and mahogany walls, surrounded by floor to ceiling windows. Guests enter the ballroom from a beautiful stone balcony. 150 for ceremony and reception. 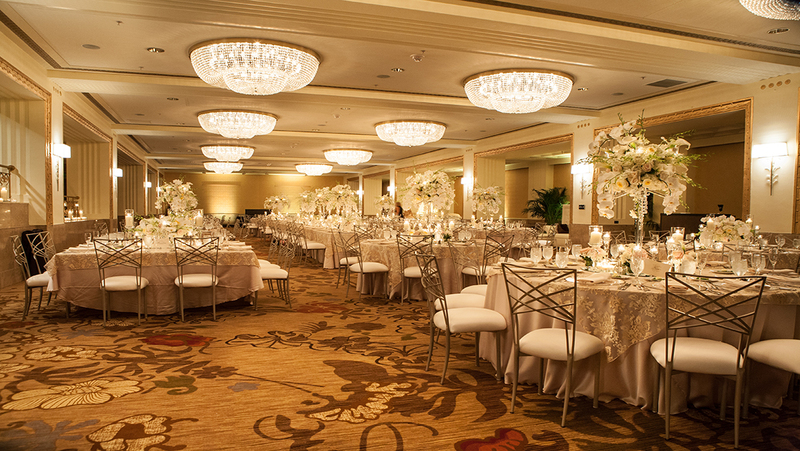 This non-traditional space, located off our magnificent lobby, hosts weddings for up to 80 guests. 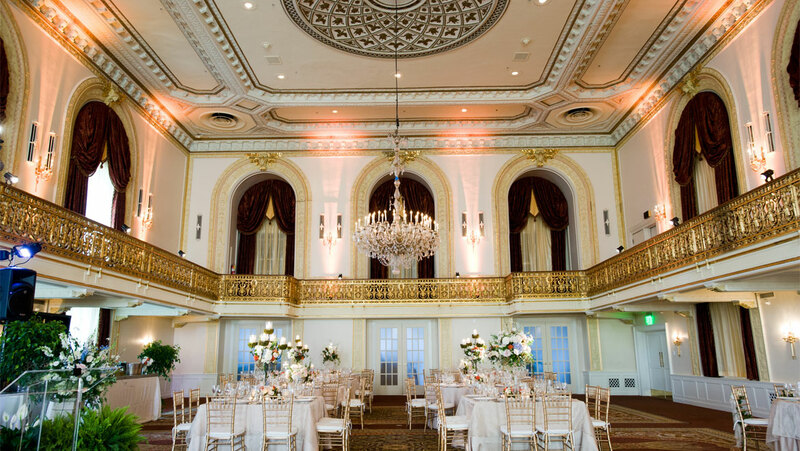 Beautiful arched windows, which overlook Mellon Park, and dazzling chandeliers create the perfect setting to transform our restaurant to the wedding you’ve been dreaming of. Cocktail receptions can also be held in Mellon Park, just across the street.